We recently published our first issue of 2018, and here we follow it with a video abstract from one of its authors, Ben Brisbois. Ben’s paper, “Political Ecologies of Global Health: Pesticide Exposure in Southwestern Ecuador’s Banana Industry” (which is co-authored by his colleagues at UBC, Leila Harris and Jerry Spiegel) can be read online, or downloaded, free of charge, here. appreciation of the environment-linked subjectivities and emotions of people experiencing globalized health impacts. Rapprochement between these fields may also provide political ecologists with access to valuable empirical data on health outcomes, venues for engaged scholarship, and opportunities to synthesize numerous insightful case studies and discern broader patterns. Pesticide exposures to Ecuadorian banana workers and farmers illustrate a pressing need for action to reduce related health impacts. A political ecology perspective shows how such actions could be informed by attention to power and ecological dynamics, competing explanatory narratives, and the lived experiences and emotions of those most affected. One policy priority is to challenge the transnational structures conditioning such impacts, for example by enforcing health and environmental protection within international trade regimes. A concurrent need is for participatory engagement to ensure that actions reflect grassroots priorities and local social-environmental contexts. Such participatory action should engage with formal and informal transnational entities to simultaneously pursue locally-defined objectives, and achieve broader systemic change. These praxis implications can be generalized and explored for other health issues by applying a political ecology lens in the well-resourced and intervention-focused field of global health. You can see Ben talking these issues below in both English and Spanish. Ben is a postdoctoral fellow at the University of Toronto’s Dalla Lana School of Public Health. He completed his PhD in 2014 in the University of British Columbia’s School of Population and Public Health, where his brilliant work on pesticide related health impacts in Ecuador’s banana’s industry was awarded the 2010/11 Antipode Graduate Student Scholarship (about which see here). Leila Harris is an Associate Professor in UBC’s Institute for Resources, Environment and Sustainability. As well as Antipode, her work has been published in Geoforum, Environment and Planning D: Society and Space and Environment and Planning A, among many other places. You can read all about it here. Jerry Spiegel is a Professor in UBC’s School of Population and Public Health. You can find his work on the effects of globalization on health, understanding and addressing the influences of physical and social environments on health, and related matters online here. 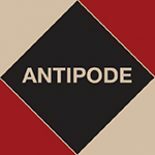 This entry was posted on 18 January 2018 by Antipode Editorial Office in Video Abstracts and tagged ecosystem health, engaged scholarship, global health, occupational health, political ecology.